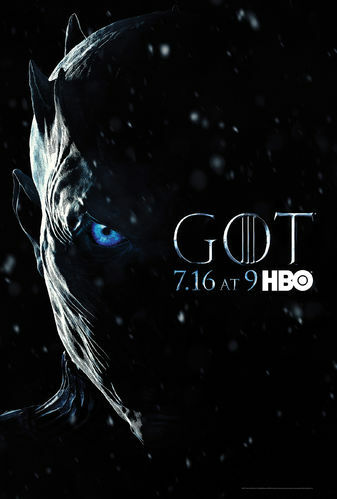 After last year's absolute return to form, I think we're all pretty pumped to see just how David Benioff and DB Weiss pull together the endgame for their long-running George RR Martin adaptation. It's funny to consider they'll have this series wrapped long before Martin's next book even comes out (which presumably last season covered quite a bit of, in some shape or fashion). Season 7 kicks off with Cersei Lannister on the throne, and everyone gunning for her, most notably Jon Snow, the King of the North, and Daenerys Targaryen, the Mother of Dragons. And who knows how the Greyjoys or...sigh...the Sand Snakes...the play into all of this. You get 7 episodes this year, kicking off on July 17th.